Looking for a ride-on car toy for a 2 year old? There are lots of options available. Annoyingly, most ride-on toys are labelled as being for 3 year olds and over. The Little Tykes Coupe Ride-on is also a great option, and is very popular at the moment. With dozens of positive reviews on Amazon, this is a great gift for any 2 year old. The reviews show that it is loved by 2 year old boys and girls alike. 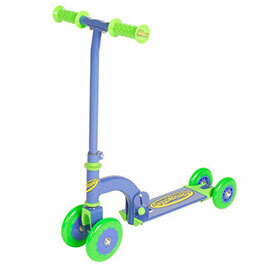 The Little Tykes Coupe Ride-On is perfect for 2 year olds who are just learning how to push along with their feet. It’s incredibly sturdy and won’t fall over, however rough they are! 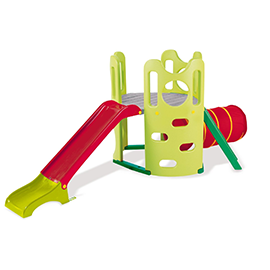 It’s designed for children aged 18 months to 5 years so you should get plenty of life out of it. The ride-on car will grow with your 2 year old. When they’re too young to push themselves along, there’s a removable platform/floor for them to put their feet on. 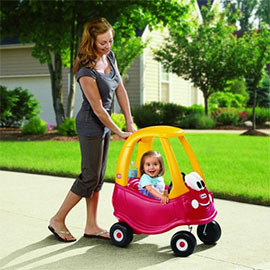 When they are ready to push and get around in the ride-on car unaided, you can remove the floor and give them more freedom. I love the finishing touches that Little Tykes have added to this ride-on car. It has a petrol cap (2 year olds love learning about “putting food – i.e. 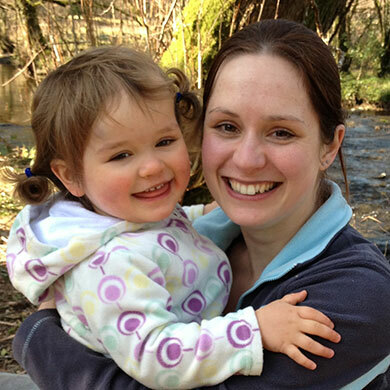 petrol – in the car’s mouth! ), real horn (great fun!) and ignition switch, as well as a parent push handle. This ride-on toy car has been around for decades but is as popular as ever. It comes in a fantastic choice of colours that 2 year olds and kids of other ages will love – whether you want a standard red and orange car, a pink ride-on car, a Union Jack or England design, a police car or even a yellow cab! 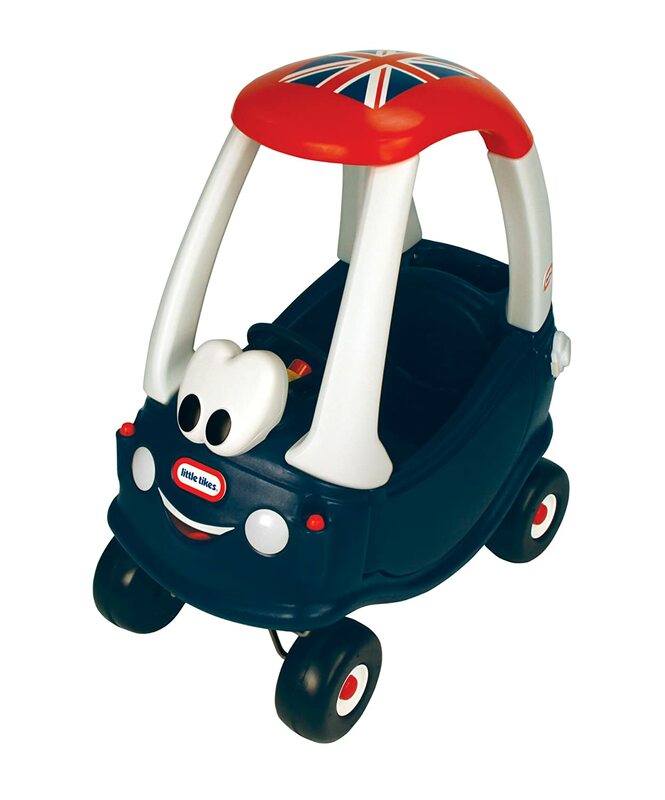 The Union Jack ride-on car is currently the most popular on Amazon. The current Amazon price varies, but tends to range between £34.99 and £50 depending on the colour. Discounts are often available from the other sellers who sell on Amazon Marketplace, so you can get a good price for a toy that will last your 2 year old for years. If your 2 year old loves their ride-on car toy, or if you want to combine it with related toys to create a more special gift, then it comes with some lovely accessories. You can extend it with a Cozy Trailer or even a peronalised number plate, extending the life of this toy and making it even more fascinating to your 2 year old.